Thanks to notifications from a number of Seibertronian community members, we are able to link to the first trailer for the upcoming animated series created by Hasbro and Boulder Media Studios - Transformers: Rescue Bots Academy! Part of the same universe as the series set in Griffin Rock and for all we know so far a direct sequel with a younger target audience, Rescue Bots Academy sees the new characters of Hot Shot, Whirl, Medix, Hoist, and Wedge follow predecessors Heatwave, Chase, and Boulder in learning how to respond to emergency situations and become heroes at the Training Academy of the title. Check it out below! Hot Shot and Whirl sound fine, it's a show for younger kids so I'm not going to expect this to be something for me. Imagine the reaction from people if whirl acted exactly like his idw version good to see rescue bots is continuing in some fashion. It doesn't look too bad, the animation and designs look ok for what it is, and it's good to hear someone other than Peter Cullen voicing Optimus for a change. Once the toys come out I might get a Hot Shot and a Wedge for my nephew (I would say Whirl too, but he prefers things with wheels). I hope the toyline includes some figures with a pull-back-and-go function, because that's my nephew's favorite type of toy right now, I got him the Rescue Bots Supercharger Bumblebee for his first birthday and he loves it. Looks like Medix is a car now. ZeroWolf wrote: Imagine the reaction from people if whirl acted exactly like his idw version good to see rescue bots is continuing in some fashion. "Transform and Click! Bang! Bang! Pow! Boom! Boom! Pow! Boom! Boom! Bang! Pow!" Got hit hmwith a baseball bat before ot was rendered in Flash Cell whatever... Its eh. Not fond that that changed Heatwave's head to a grizzled old drill seargent, but oh well. Kinda sad Medix didnt keep her ambulance alt mode given that Hoist is a straight up copy of his. Not thT it matters since I am not buying these, but. Can I just say though I am ecstatic at the RID Revival? We are getting Shadow Striker in Cyberverse, now Wedge is an orange bobcat in Rescue Bots. Can I get a new Side Burn somewhere please? This looks pretty good! Not 100% on board with the aesthetic changes, but it's still good! Of course NOT why would hasbro give us a whole (nonG1) set? Yeah, none of the voice cast from the previous series were carried over into this one, as it's being recorded in New York (first TF cartoon to ever be recorded there, even) instead of Los Angeles. It's more based on the new evergreen design that's being widely used now, in IDW, in Aesthetics, in Cyberverse, etc. Flashwave wrote: Can I just say though I am ecstatic at the RID Revival? We are getting Shadow Striker in Cyberverse, now Wedge is an orange bobcat in Rescue Bots. While Shadow Striker was retooled from a RiD mold, she was a G1 character (a friend of Trailbreaker, Sunstreaker, and Sideswipe, no less), released in the first Universe line as an OTFCC 2003 exclusive. Courtesy of Toon Boom and an interview they published with Robert Cullen, animator and founder of Boulder Media Studios - the Hasbro partner working on the upcoming animated series Rescue Bots Academy and Transformers: Cyberverse - we have a quick look at the two designs for Hot Shot and Bumblebee from the two shows respectively (you can discussion Rescue Bots Academy in its thread here). Cullen talks about the studio in general and the recent acquisition by Hasbro and nothing specific about the shows, but if you're curious, you can look at the relevant passages below! 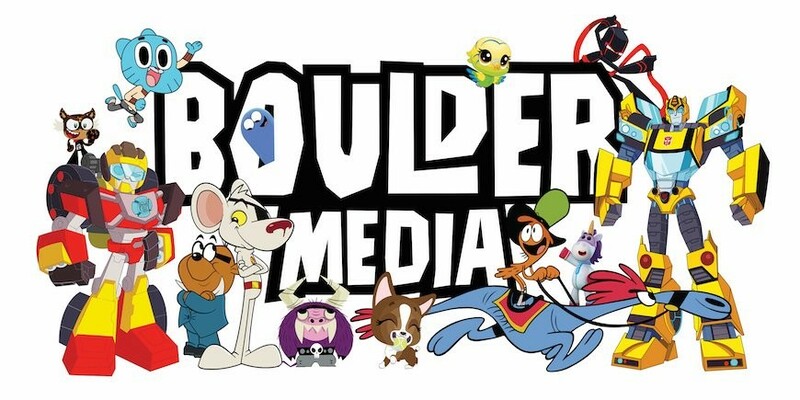 Boulder went from producing three projects at most to six IPs including season two of Danger Mouse and Hasbro’s Micronauts, The Littlest Pet Shop, My Little Pony: Equestria Girls and Rescue Bots Academy, all in Toon Boom Harmony. The studio is also storyboarding the latest Transformers series and its first CG animated feature film in Storyboard Pro. Thanks to fellow Seibertron user, jON 3.0, we've now learned that script writing team Double Z Creative are working on the scripts for the Rescue Bots Academy cartoon, produced by Boulder Media. UK and Irish fans will recognise Double Z as the creators of Zig and Zag, regular fixtures on the old channel 4 show "The Big Breakfast" and chart toppers with their own number one single in the nineties. The pair have also seen a resurgence with their own cartoon on the BBC kids channel, CBBC (Still with Double Z handling scripts and doing voices). Also, through a report over at TFW2005, it's been revealed that the show will feature 104 episodes, though the episodes themselves will be 11 minutes each. TFW2005 wrote: Their official website also mentions the planned episode count for the show. Equaling its predecessor; Transformers: Rescue Bots, Academy will also feature 104 episodes but at 11-minute runtime each (as opposed to the original’s 22-minute format). Will you be watching this? Let us know in the comments and stay tuned to Seibertron for all the latest news and reviews. 104? That's the same exact number that the first show got. 104 11 minute episodes is basically the same commitment as 52 22 minute episodes. 52 episodes seems to be the "sweet spot" of commitment run (i.e., 4 seasons of 13 episodes). 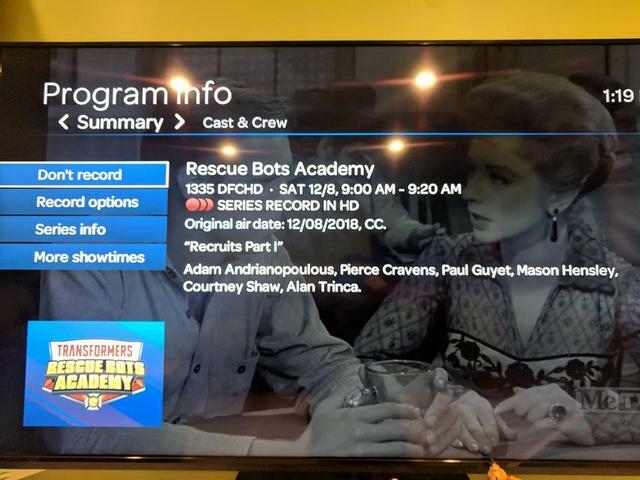 Rescue Bots Academy sneak preview coming to Discovery Family this Saturday at 9am! Various TV listings claim it to be Episodes 1 and 2, titled "Recruits Part I" and "Recruits Part II". Thanks to a heads up from Seibertronian Sabrblade, we have word that the newest generation of Rescue Bots is headed out way, and we are going to get a sneak preview this Saturday! This news comes to us from the Discovery Family Twitter page, and includes a 30 second trailer for the brand new series. Rescue Bots Academy is the 2nd project to be coming out of the Boulder Media Transformers group, with Cyberverse being the first. It features characters from the original Rescue Bots show (albeit, with different voice actors), and introduces us to brand new Rescue Bots, among which are Hot Shot and Whirl! You can check out the trailer below, brought to Youtube courtesy of Madame Pom News, and let us know if you plan to tune in on Saturday! So far, neither episode has been uploaded to any of the usual places to watch them online. But, after a Google Search, I have found Episode 1 online, but not Episode 2. Motto: ""Who you callin' a robot chicken?"" It's heartbreaking to watch this series. I worked on the pitch for the show which I was happy about and had my fingers crossed about actually working on the series. After I heard about how they recast the original actors (most of them would probably have been more than able & willing to continue as the characters) and how they only did the voices in house in NY and LA didn't even get auditions then seeing the format of the show, I have mixed feelings about it. I'm saddened that my friends that worked on RB didn't even get considered to be in the series. I'm saddened I and other friends who are fans and would've loved a shot to be in a TF series were not given that chance. Who knows? Maybe something bigger and better is still on the horizon. Follow me on Stardust, YouTube, Instagram, Twitter & Facebook @epicvoiceguy! I wish watching this series (past Episode 1) was even doable at this point. But I feel ya, Jon. After years and years of LA and Vancouver being the places for actors to record Transformers shows, for them to suddenly switch it all up and over to New York (a talent pool that's never done Transformers before) for both RBA and Cyberverse is disheartening indeed. Sabrblade wrote: I wish watching this series (past Episode 1) was even doable at this point. At long last, we got links to watch, thus far, the first 14 episodes of this show. "The Bot Who Cried Rescue"
The show truly does feel like a legitimate sequel to the first show, with lots of continuity ties and references, and despite the all new voice cast, the acting is worlds better than in Cyberverse. Though, I would also recommend switching "If at First..." and "Tough Luck Chuck" around, as the latter feels like it fits better as Episode 3 than as Episode 4.